Join GSH for a wine and beer tasting with hors d’oeuvres at historic Cedar Knoll in Alexandria! Situated on property once owned by our first president, Cedar Knoll offers American and French cuisine with waterfront views of the mighty Potomac. 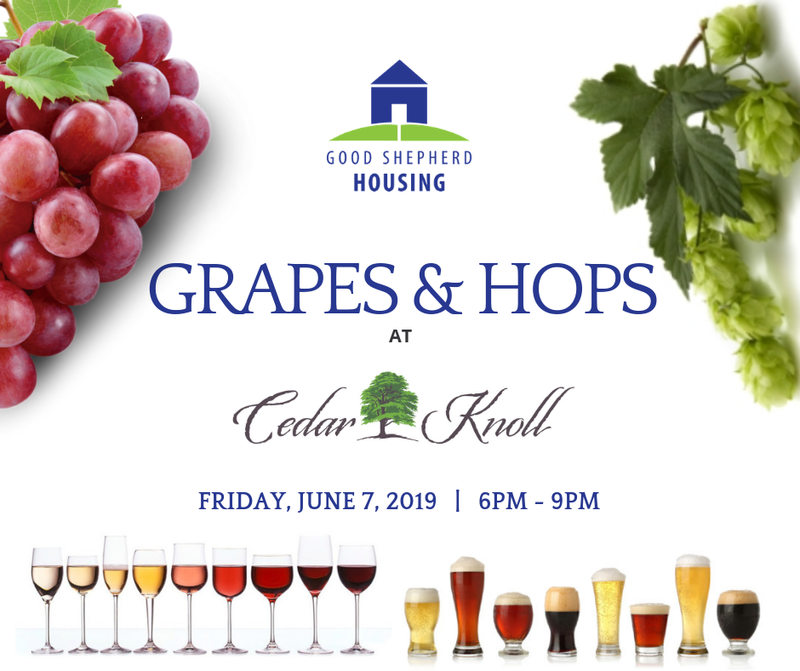 Our Grapes & Hops event will help to transform the lives of a family on the brink of homelessness with access to affordable housing, provide emergency relief to a struggling neighbor, or send a child in our programs to summer camp.